Syria has become one of the most vexing and complex problems for U.S. strategic planners in recent times. Currently, the United States has about 2,000 troops in the northeastern part of the country whose primary mission has been to aid the Syrian Democratic Forces (SDF), made up primarily of Kurds and some Arab tribesmen, to fight ISIS. 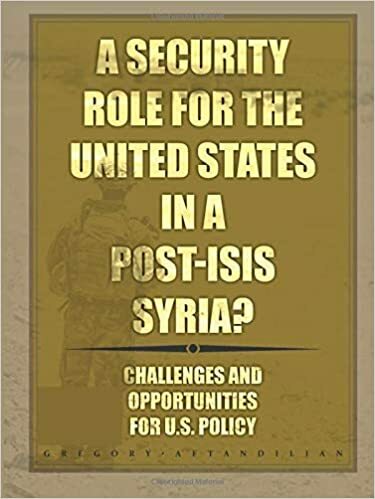 The near total defeat of ISIS in Syria, especially with the fall of its so-called caliphate capital in Raqqa in October 2017, might seem to suggest that the military mission is coming to an end and, therefore, the United States should pull out its troops. Indeed, President Donald Trump stated publicly in late March 2018, that he wanted these troops to come home “very soon.” However, since that time, the U.S. President has backtracked from this statement after receiving advice from several of his top military advisers, including Defense Secretary James Mattis, some foreign leaders like French President Emanuel Macron and Israeli Prime Minister Benjamin Netanyahu, and influential members of Congress, such as Senator Lindsey Graham, all of whom have recommended that the President keep these troops in Syria. A US Army War College/Strategic Studies Institute study.